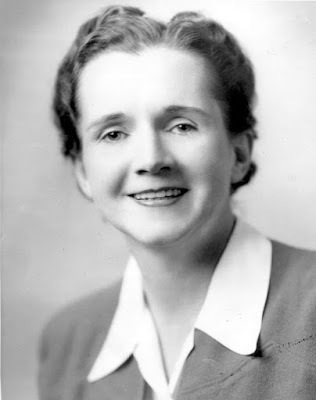 Rachel Carson (1907-1964) was an American marine biologist, author, and environmental activist. In 1929, Carson graduated from the Pennsylvania College for Women and pursued further studies at Johns Hopkins University. She taught at the University of Maryland before eventually joining the U.S. Fish and Wildlife Service in 1936. She wrote her first book in 1941, called Under the Sea-Wind. In 1951 she published another book titled The Sea Around Us, which went on to become an immediate best-seller. In the 1950s Carson researched the effects of pesticides on the food chain, which was published in the book Silent Spring in 1962. The research condemned the use of pesticides, especially DDT which was later banned. Her research in the book publicized the importance of keeping the environment healthy and she is often credited with shaping a more environmentally conscious community. In 1964, Carson died of cancer.